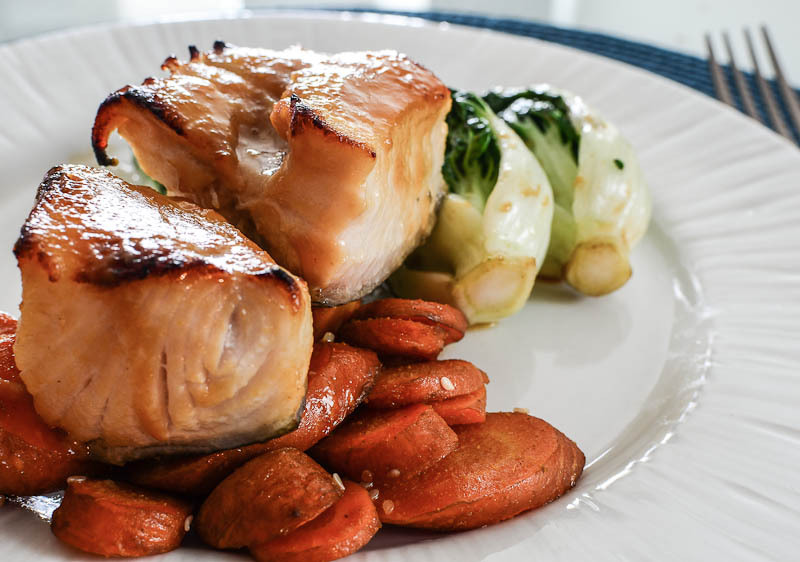 Black cod has a buttery flavour. We prepared it in a miso sauce which we made by mixing miso paste and other sauces. You can use anything you want (chicken broth, orange juice, fruit jelly, etc.). We often put maple syrup in a glaze; maple syrup goes with everything. The sauce is very sweet therefore it thickens as it cooks and becomes a glaze after about 10 minutes in the oven set at 375. Fish tastes much better slightly undercooked than overcooked.